HALIFAX -- Nova Scotia has launched a new tax credit aimed at spurring more investment in startup companies and small and medium-sized businesses. Effective immediately, the innovation equity tax credit will apply to investments of up to $250,000 in eligible businesses, which is $200,000 more than the current equity tax credit. Investors are to receive a tax incentive of 35 per cent, or 45 per cent in the priority sectors of oceans technology and life sciences. The credit was announced as part of the 2018-19 budget tabled last March. "What we are trying to do is become more competitive with our neighbours, other provinces," said Finance Minister Karen Casey. "The intent here is to narrow the scope of the current equity tax credit and to increase the threshold, and we believe that those things will make us more competitive." 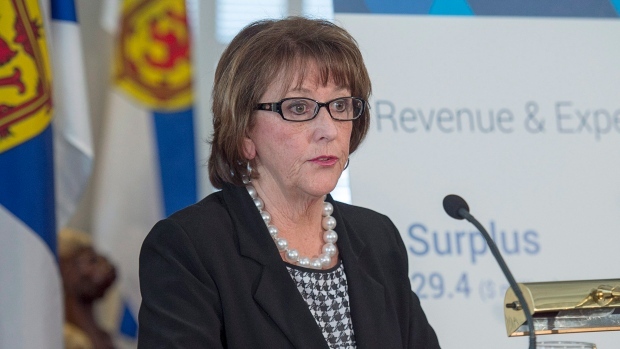 The Finance Department said the revised regulations outline that Nova Scotia businesses less than 10 years old may qualify for funding. It said the government is also considering options to expand the tax credit through legislation this spring that would include making corporations and qualified venture capital funds eligible for the credit. "We recognize that we needed to make it inviting for investors, we needed to offer an incentive and that's what drove this," said Casey. The current equity tax credit, introduced in 1994, will be phased out as part of the 2019-20 budget, to allow time for businesses to adjust. "We will be including in our budget this year a bit of a timeline for the phasing out," said Casey. "There will be a bit of an overlap for introducing the new one and phasing out the old one."